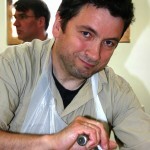 Many thanks to Patrick Anglade for a “rough” two days of intensive learning. We enjoyed your humor, patience and are awed by your deep understanding of all things cheese! 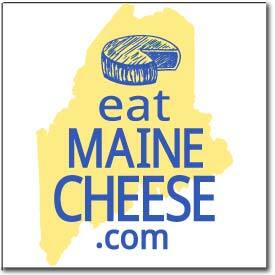 Thanks to all the participants, too, and State of Maine Cheese! 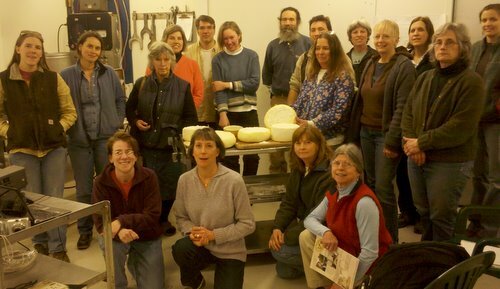 The Maine Cheese Guild is pleased to hold two hands-on, advanced cheesemaking workshops scheduled for this Spring, hosted by State of Maine Cheese Company in Rockport, Maine. 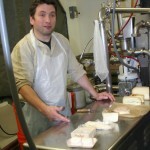 April 9th & 10th join French cheese consultant, Patrick Anglade for two days of training in the art of creating aged cheeses: The Art of Affinage, a workshop presented by the Maine Cheese Guild. Patrick Anglade will also be available for private full day or half day consultation with prior appointment. If interested, address inquiries to Patrick at pat.anglade@laposte.net. 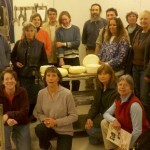 Posted in Events, Guild, Learning and tagged aged cheese, Patrick Anglade, workshop. please open up the workshop for more participants. i’m on a waiting list and would be willing to skip any hands on stuff if i could just go to the classroom/lectures.